An easy, but elegant, brunch idea. 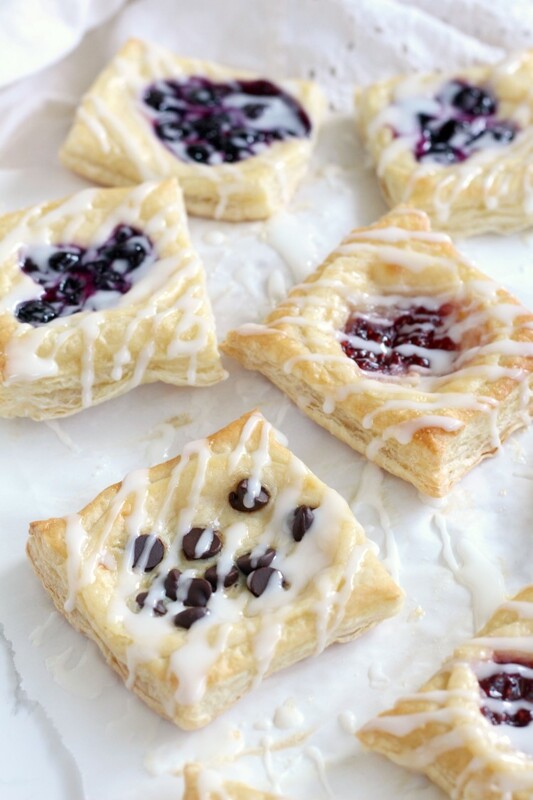 This Puff Pastry Cream Cheese Danishes are delicate, pretty and tasty. Make them any flavor you want. I did chocolate chip, raspberry and blueberry, but use whatever filling sounds good to you!